Midway through last year, the aquarium world laid its eyes on the first ever commercially available captive-bred Clarion angelfish, courtesy of the Wen-Ping Su of Bali Aquarich. In August, Quality Marine brought the first one into the United States, and it would appear now that those numbers will be rising. 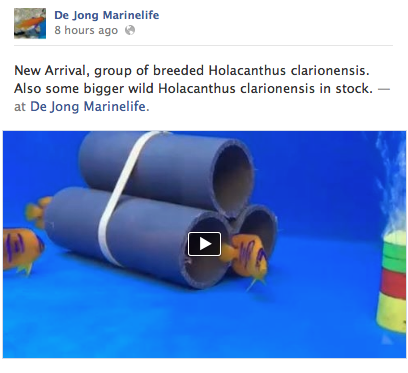 Announced via Facebook, Eric Cohen of Sea Dwelling Creatures (in California) revealed that they would be bringing some in, as did De Jong Marinelife in the Netherlands, who also shared a video (see below). 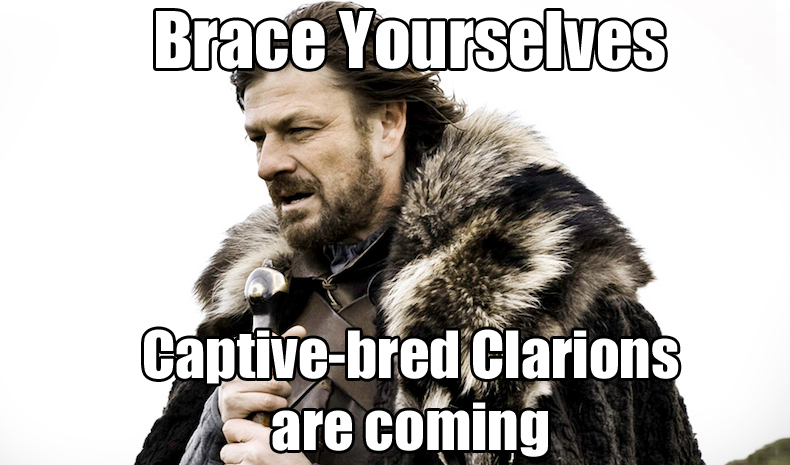 While the number of fish entering the trade isn’t exactly astronomical, it goes to show that these captive-bred clarions are commercially viable and are here to stay. There is a huge demand for them and wholesalers are freakishly excited to even get the opportunity. They truly are a fish that will make your heart race, and they will command a pretty steep market price. Post by De Jong Marinelife.